If you're like most homeowners, you want your house to look its best inside and out. By selecting the right patio door for your home, you can show off your personal style while incorporating function and practicality. With our available custom options, creating the perfect look is easier than ever before. 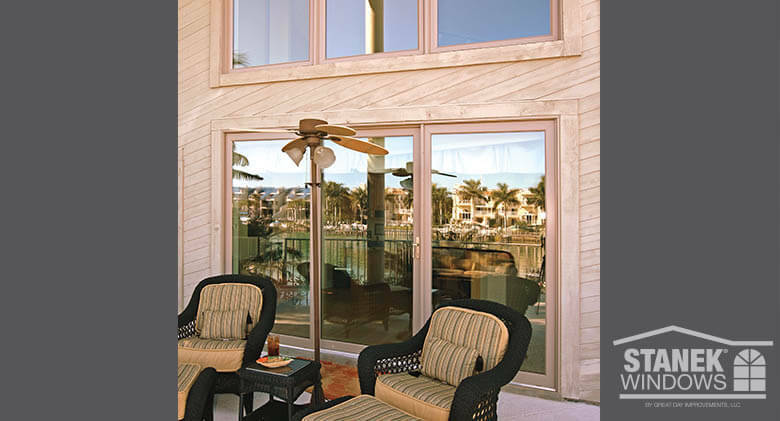 Stanek® Windows offers two- and three-lite patio doors, each lite representing a panel of glass. While other sliding glass doors on the market are only available in stock sizes, each of our doors is custom-made to fit the exact dimensions of the door opening up to 8 ft. in height. Our professional installers fit the doors to the opening, delivering unbeatable quality and attention to detail. 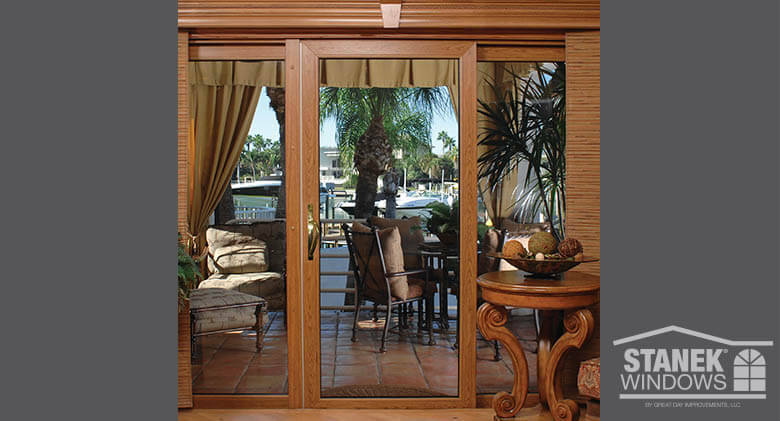 The high-end, fully welded and metal-reinforced vinyl patio doors installed offer years of flawless operation. 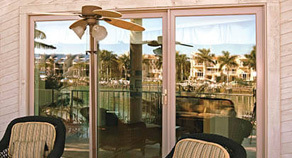 Not only are Stanek® sliding glass doors durable, they also have a three-point locking system to keep your home secure. To customize your windows and doors, Stanek® offers locking hardware in several finishes to match the hardware throughout the rest of your home. No one wants to live in a cookie-cutter home. That's why all of our patio doors are custom. No two homes are exactly alike, and standard size sliding doors don't always fit properly—but that's not something you have to worry about with Stanek® patio doors. And custom options don't stop there. We offer interior and exterior color options that can take your sliding patio doors to the next level. Every one of our custom-designed and custom-manufactured windows and doors is available in a variety of colors and styles to match your home. If you’re looking for classic wood windows or doors, but don’t want the maintenance involved, our woodgrain interior finishes are the perfect option. From medium and light oak to cherry and walnut, our woodgrain finishes are so realistic, you’ll be hard pressed to tell the difference. Just like the windows and doors themselves, Stanek® high-performance colors and finishes are made to keep your windows looking new for years to come. If you'd like to customize your doors even more, consider adding designer glass, a custom etched pattern or grids to your door, you may even consider adding additional windows around them. This can add a dramatic feel and bring extra light into your home. Since Stanek® offers custom window shapes and sizes, the possibilities are endless! There are many options to choose from when considering new doors, and it's important to make the right decision for your home. The first thing you want to consider is where the door will be located in your house. Will two- or three-lite patio doors be right for your home? And which direction should the door slide? Our custom sliding doors are available in any size or shape to fit any type of slide configuration. Also consider how often the door will be used. Will it be a main entrance? If so, durability is an important consideration. You'll also want to consider which side of your home the door will be installed on. Does it get morning light or the afternoon sun? Your doors are made up of mostly glass, so knowing the amount of sun and heat your door will be exposed to is crucial. 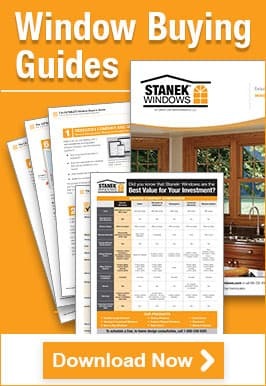 This will also help you decide which options to choose, such as energy-efficient, double-pane glass, which comes standard in Stanek® patio doors. Triple-pane Comfort-Gard® XTREME is also available and blocks more UV rays. Consider how you will use your new patio door, and where the door will be located. Then select custom options with comfort, while improving your home's comfort and style. Stanek® Windows would love the opportunity to provide you with the patio door of your dreams, so give us a call today to learn more, or fill out our free, in-home estimate form online.